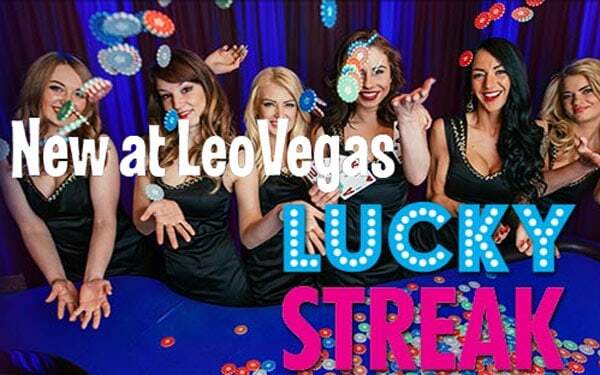 Leo Vegas add LuckyStreak Live Casino Games - That's 7 Live Casinos! Leo Vegas add Luckystreak Live Casino games to complement the other 6 suppliers they already have. Even I’m now having trouble keeping up with the new additions. But I am pleased they’ve added LuckyStreak Live Casino. Well, about a year ago I did a review of the software for Luckystreak just after they launched. Even back then I liked the games and the way they presented them. Since then they’ve made a number of improvements. 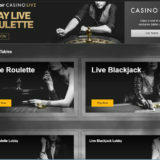 They now have a very slick set of games and one of the best Live Blackjack games around. 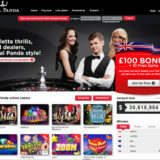 They offer three games, Roulette, Blackjack and Baccarat that are streamed from studios in Latvia. 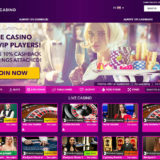 The on table language is English and all games are presented by experienced live dealers. There are definitely more female dealers than male. If you look closely some have very attractive body art, something that you wouldn’t see in other live casino studios. There are definitely more female dealers than male. If you look closely some have very attractive body art, something that you wouldn’t see in other live casino studios. This is a 7 seat game, played to Vegas rules from an 8 deck shoe. 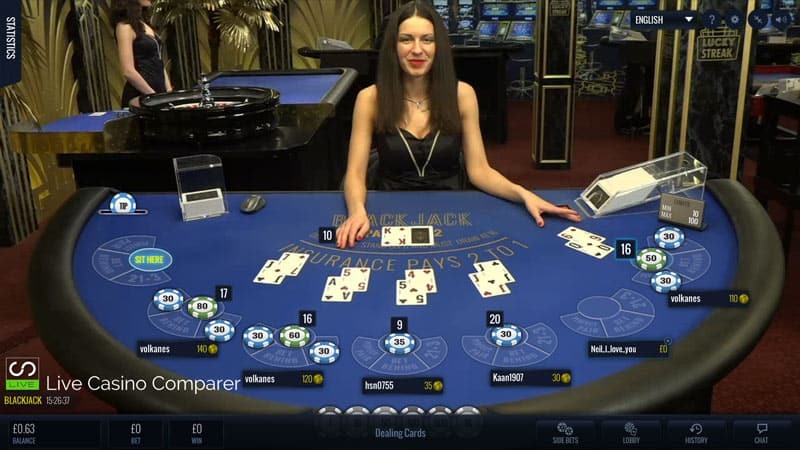 There is a complete range of Blackjack side bets, 21+3, Bet Behind and Perfect Pairs. Stakes range from 10 to 2,500 a hand. 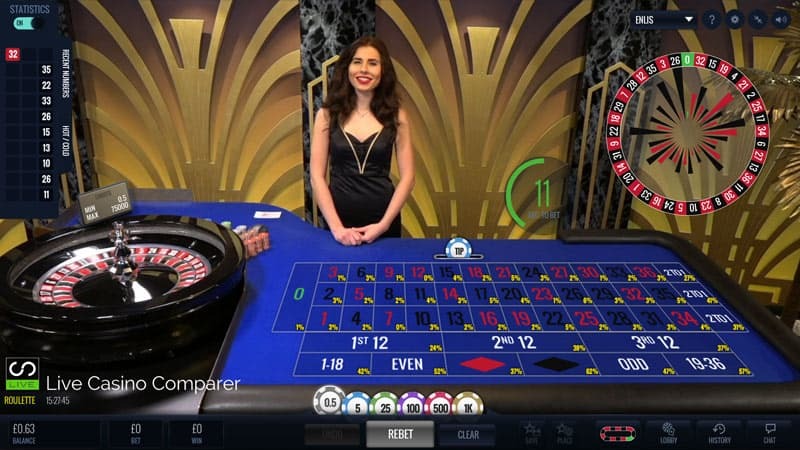 Standard European Roulette with all the normal on table features you’ve come to expect. What’s different is the % age’s on each of the numbers on the table. Stakes range from 0.50 to 75,000 a spin. 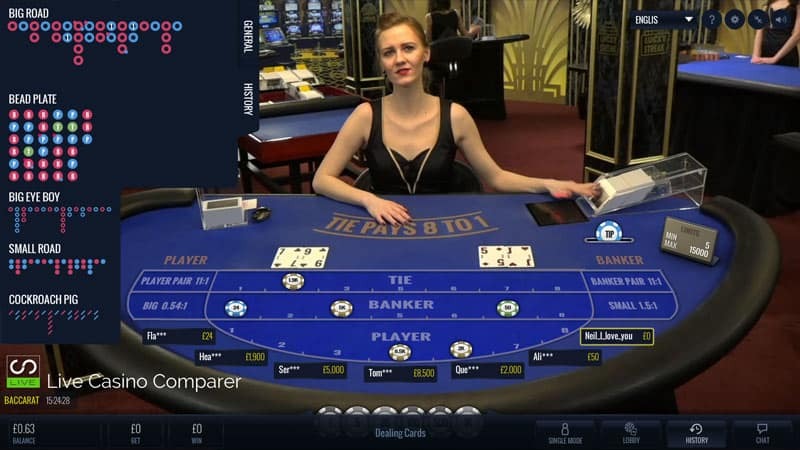 An 8 Deck Baccarat table with the option to play in Single or Multi Player mode. Comes complete with all the Baccarat Roadmaps and side bets of Banker / Player pairs, Big & Small. Stakes range from 5 to 15,000 a hand.